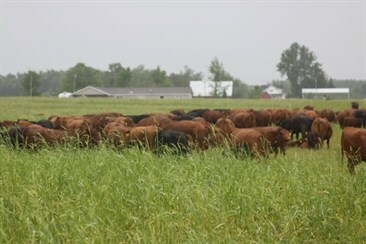 The Michigan Forage Council (MFC) is offering mini grants to farmers to conduct demonstrations and mini research trials in the areas of forage production, storage and utilization in Michigan which does include grazing. The MFC recognizes the valuable information that can be obtained from small scale on-farm trials and will consider funding up to $250 per request, with as many as ten requests granted per year. Applicants must be members in good standing of the MFC and must submit their requests by March 7, 2018. Applications must include a description and justification for the trial, the methods to be used to evaluate the results, as well as an itemized budget for the expenses of the trial. MSU Extension Specialist and/or Extension Educators may be contacted to help develop and evaluate the trials prior to submission and final reporting. Maximum application length is limited to two pages that includes all budget information. Successful recipients must submit a final brief report of trial results by December 31, 2018 to the MFC Secretary. Proposals are to be sent on the Application Form to MFC Secretary, Jerry Lindquist, by March 7, 2018 at the address below or by email, lindquis@msu.edu. MFC memberships run on a calendar year basis.